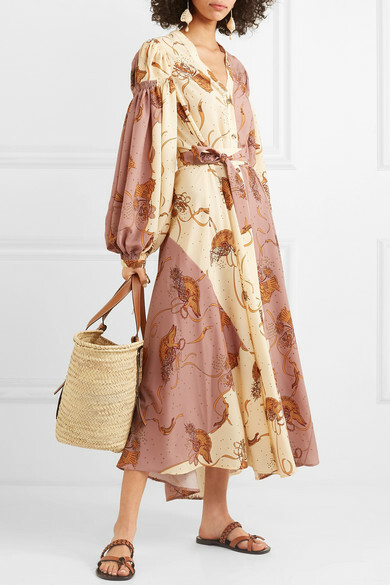 Designed in collaboration with Paula's Ibiza, Loewe's dress not only captures the bohemian spirit of island life, but the artisanal feel of the brand's DNA, which Jonathan Anderson hones every season. 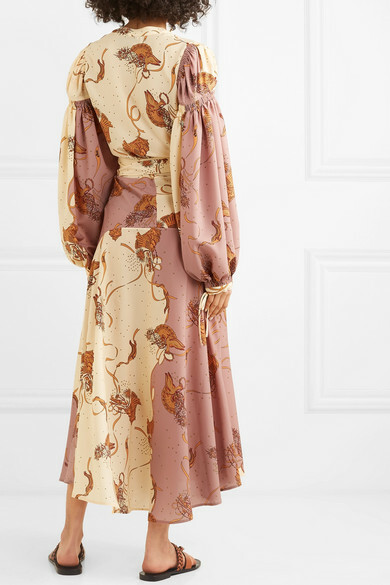 Cut in a floaty shape from crepe de chine, it's patterned with an ethereal motif in contrasting shades and elasticated at the shoulders to accentuate the billowing sleeves. Define the loose shape using the matching self-tie belt. 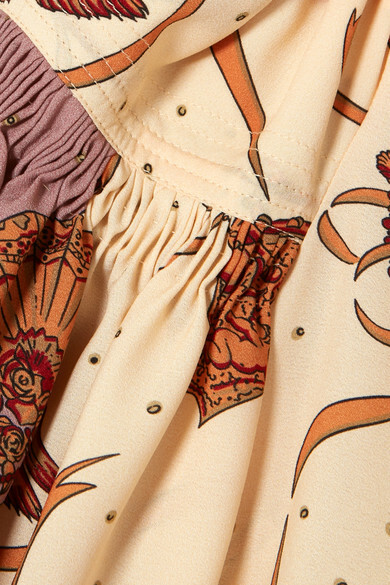 Shown here with: Loewe Tote, Loewe Sandals, Etro Earrings.